If you want to keep bees in a populated area, you will need to know the basics of bee biology, property rights, and human psychology. It can be done with very few problems. Even in a city it is possible for bees to find enough pollen to feed them and produce a honey crop at harvest. Beekeepers in the suburbs and cities need to manage their bees so they do not create a problem for the neighbors. 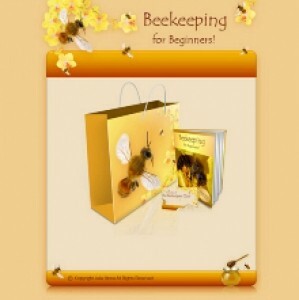 Measures can be takes to alter the keep the bees from becoming a nuisance to other people. To do this we need to understand the circumstances, which cause bees to bother other people. The bees flight pattern is one of the ways bees can be a problem for other people. When the bees leave their hives to gather food, they will fly 3-4 feet off the ground. You can prevent them from crossing paths of people walking in their flight path by planting a hedge or building a fence at least 6 feet tall. This forces the bees to fly above the fence. The hives can also be placed on the rooftop, which starts them out flying at a higher level than most people walk. Fence, hedges, and rooftops also provide seclusion, which is very important. By keeping bees out of sight they will not be the target of vandalism or theft, also keeping bees out of sight will alleviate worried neighbors. To keep the bees happy it is important for their hives have to be in a certain condition. A good location is for the hive to be in full sun all day, shaded bees will be more aggressive. The hives should be dry and the bottom boards angled so that water runs out of the hives. The hives need to be elevated with hive stands to keep the bees off the ground and to allow for airflow to keep the bottom board dry. Also with the hives 4 to 6 inches off the ground will make it less likely for grass and weeds to obstruct the view. If you live in a congested area, a top entrance is probably not a good idea, especially during the summer. When ever a hive with a top entrance is opened and hive bodies moved, hundreds of confused bees will be fling around because their entrance is gone. This will probably worry you and your neighbors. By providing only a bottom entrance, and working from the side or from behind the hive, the bees are not impeded from flying home even when all the upper boxes are removed. Always keep the equipment in good repair. You don't want the cracks or chips in the hives providing extra holes for flight. A bee only stings as a defense against intruders that might want to cause harm to the hive. Whenever a hive is open, the bees are in their most dangerous state.